The god of the Bible is on the Nov. 6 ballot in Alabama. A proposed constitutional amendment would allow the government to display his so-called divine law — the Ten Commandments — on every piece of public property in the state. Amendment 1 unnecessarily rewrites the religious liberty provisions of the Alabama Constitution in alarming ways. There’s actually some good language in the amendment — for instance, prohibiting taxes from going to churches — but that’s already protected under the law, so there’s no need for a change. That divine command, while central to Judeo-Christianity, is, to be blunt, un-American. The First Commandment embodies principles that directly conflict with the principles on which the United States was founded. No law can tell an American to worship a god, let alone which god. Americans are free to be godless (and a growing number are), or, if they wish, to worship every god from every holy book. The commandments continue in this un-American vein, prohibiting free expression and art (graven images), prohibiting free speech (taking the Lord’s name in vain), and sanctioning slavery — twice (Exodus 20:10, 20:17). The Ten Commandments even promise to punish innocent children, “to the third and fourth generation,” if parents are brazen enough to exercise the religious freedom guaranteed in the First Amendment of the U.S. Constitution. The Tenth Commandment is perhaps the worst: condoning slavery, treating women as chattel, and criminalizing thought. 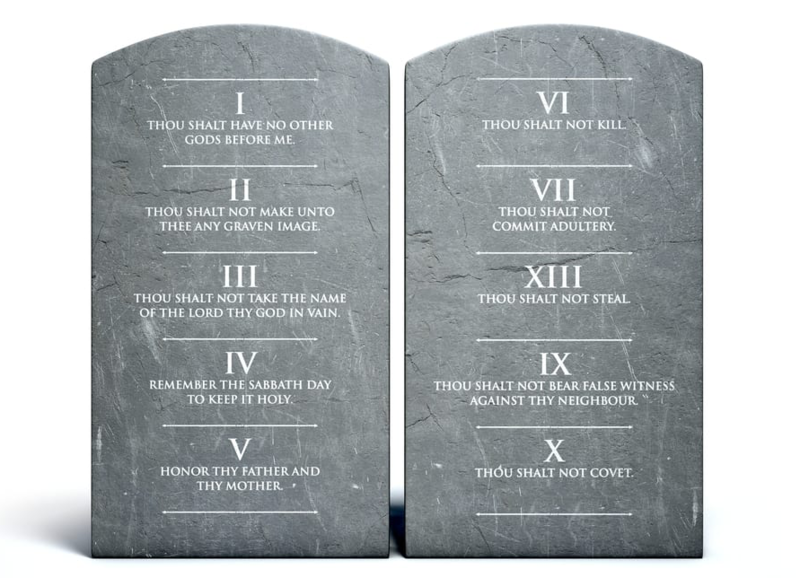 Sure, some of the Ten Commandments overlap with criminal laws that prohibit murder, theft, and perjury. But these rules are not exclusive or original to Judeo-Christianity. They are universal principles that all humans understand. If this amendment passes, it won’t be stars falling on Alabama, but lawsuits. Roy Moore learned this the hard way — twice. You have a choice, Alabamians: Amendment 1 or the First Amendment? And if the idea of verses of the Quran in public schools doesn’t bother you, then listen to Jesus’ Sermon on the Mount. Jesus condemned public piety, those who practice their religion “on the street corners to be seen by others,” as hypocrisy. Nothing could be more public or hypocritical than slapping monuments full of un-American principles all over public property. Do the right thing, Alabama. Vote NO on Amendment 1.